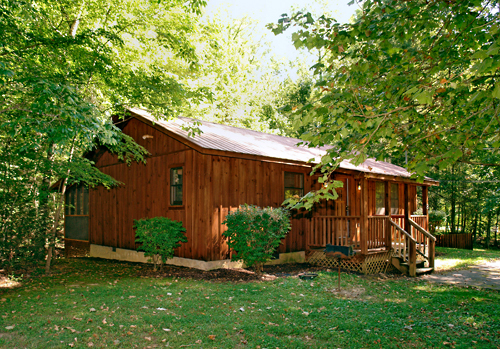 Stay in a beautiful Mountain Falls cabin located at the foot of Bluff Mountain in East Tennessee. 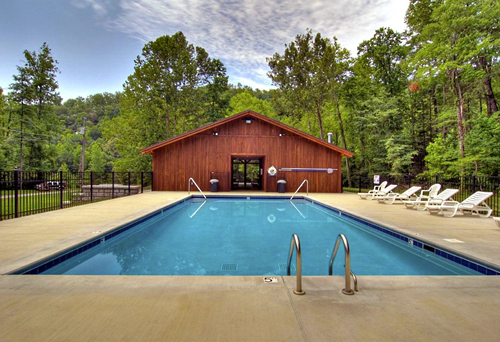 These cabins are non-smoking 2 bedroom/2 bath units fully equipped, beautifully decorated, with DVD players, hot tubs, a seasonal swimming pool, and picnic pavilion for your enjoyment! These cabins are just minutes away from downtown Pigeon Forge, shopping and area attractions. Fully equipped cabins with hot tubs and fireplaces. If you are looking for a romantic getaway or a fun family adventure, come stay in one of our beautiful Mountain Falls cabins located at the foot of Bluff Mountain in East Tennessee. These cabins are two bedroom/two bath units, fully equipped, beautifully decorated, with hot tubs, a creek and a waterfall within walking distance! There is also a seasonal swimming pool and picnic pavilion for your enjoyment. Pool is open Memorial Day through Labor Day. 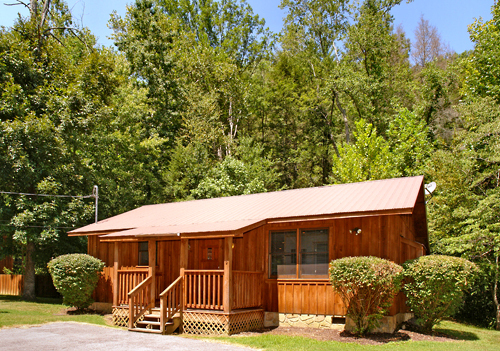 These cabins are just minutes away from downtown Pigeon Forge, shopping and area attractions. Come see us! How many floors are the cabins? All cabins are one level. Parking is located in front of the cabin. There is a two car maximum per guest. Is there a sundry shop or gift shop located on-site? Do you offer a shuttle to/from the airport? Do you charge a security deposit, authorization, or put a credit card on file at time of arrival? Proper ID and a major credit card are required at check-in. Are the cabins handicap accessible? No, our cabins are not handicap accessible.